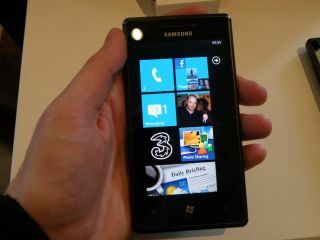 Windows Phone 7 - hitting MACH one? Microsoft has chosen the carrier-billingsolution for Windows Phone 7 – with MACH picked out as the company that will provide the means for people to buy apps and content. The need for a reliable payment system is paramount in modern day app and content markets, with people increasingly keen to buy over the air via a variety of payment methods. MACH describes itself as "the leading provider of hub-based mobile communication solutions" and believes that it can provide a system that users will appreciate. "The rapid evolution of mobile applications and services necessitates a payment method that combines ease of use with the broadest consumer reach," said MACH's release. "The Direct Billing Gateway selected by Microsoft was launched by MACH to offer a much more sophisticated and direct billing method by transferring the cost of the application download or in-app purchase directly to users' phone bills. "The DBG solution creates a simple to use 1-click buy process, doing away with the need for cumbersome Premium Messaging or re-direction to WAP payment pages." The arrival of the DBG should give paid-for apps and content a real boost on the new operating system. "Microsoft is committed to providing Windows Phone 7 customers with easy access to quality apps, games and other content through Windows Phone Marketplace on the phone or PC," said Todd Brix, Senior Director, Windows Phone Marketplace, Microsoft Corp.
"Working with MACH better enables us to offer customers the benefits of a convenient and easy-to-use mobile operator billing option when purchasing their favourite content for Windows Phone 7."